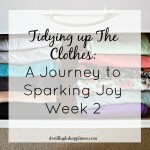 We’re back with week 3 of our #SparkingJoy KonMari journey! 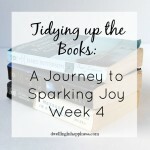 If you’ve just started following along, here’s the scoop: some bloggy friends and I decided to get together and read the book, The Life Changing Magic of Tidying Up,” by Marie Kondo. Basically, each Sunday, we tackle a different part of our lives to declutter. 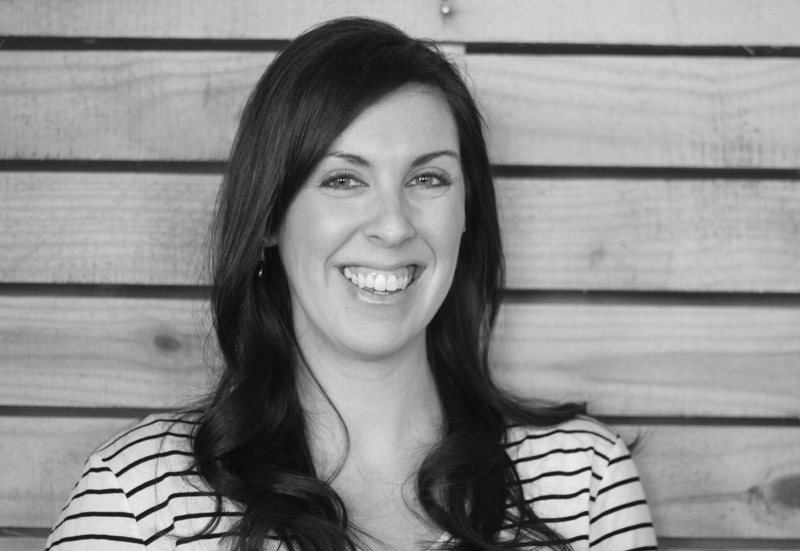 In our first week of the series, we talked about our vision for our journey. Last week, we all went through our clothes and cleaned out our closets. 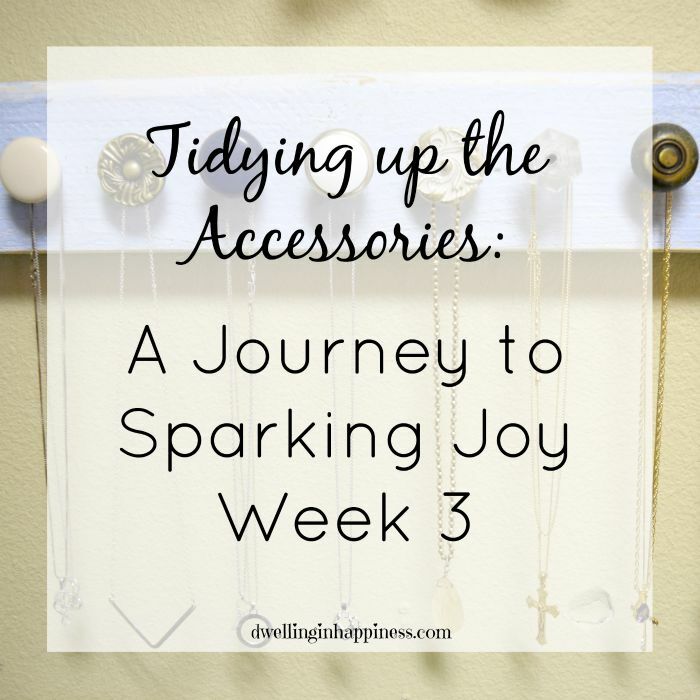 This week, we are all sharing about our experiences tidying up the accessories in our lives. This is anything from makeup, to jewelry, to shoes. If you’d like to jump in and join our journey, we’d love to support and encourage you, too! 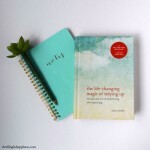 You can pick up Marie Kondo’s book, The Life Changing Magic of Tidying Up on Amazon (affiliate link), and as you declutter your belongings, you’ll find so much more joy in your home! 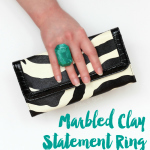 Marie’s book doesn’t touch directly on how to go through your accessories, but I applied the same principle as the clothing: touching every piece and seeing if it brings me joy. Awhile back, our closet had the normal white wire shelving system. We had spots for our shoes, clothes, etc. However one night while we sat watching a movie, we heard a huge crash. We ran into our bedroom only to find our entire closet off the wall and all over the floor. We must have had too much stuff on the shelves, because they all literally ripped right off the wall. Argh! We didn’t have many options that fit our wall, so we ended up finding a little closet shelving unit that would fit and hold our things. 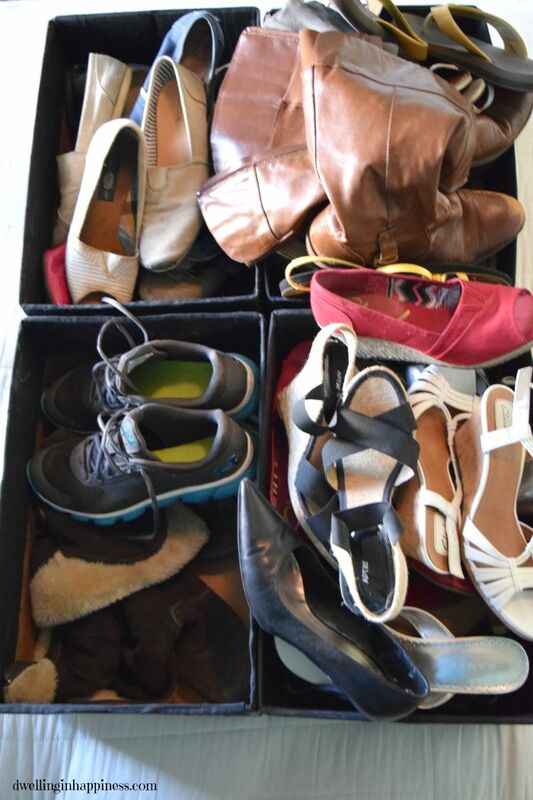 Our shoes didn’t really have a spot though, so I turned old paper boxes into “baskets.” Not only were they free, but they fit perfectly into the shelving slots on either side of our clothes. I covered them in black fabric to keep it simple, and that’s where our shoes still live. I love that they are out of the way and contained in “baskets,” so we can’t see them. To find what we need, we just pull out the box and grab them. when I tackled my shoes for this project, I grabbed all my baskets and put them on the bed. Four boxes stuffed full of shoes. A couple of the boxes were literally overflowing with them. There were shoes I hadn’t worn in years, and probably never would. So, I started by taking each pair out and deciding if they brought me joy. It was SO liberating throwing half those shoes in a bag to be donated! I sorted them out by season and style, so they’re now easier to grab. So much better! I stacked my shoes on top of each other so I could see them easier. For my sandals and flip flops, I put them side by side so I can easily grab them. I then started on all my jewelry. 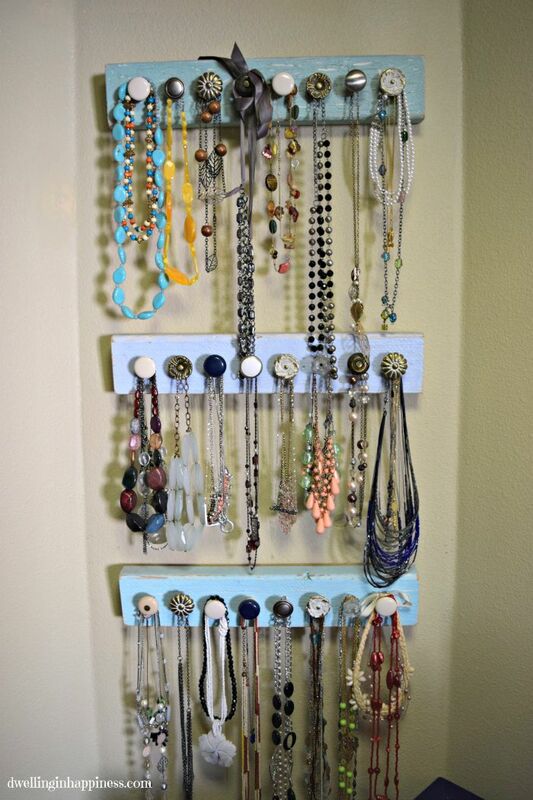 I have my necklaces all hanging on hooks in the closet, and all my earrings I hang on a little organizer I made, as well as ones that don’t hang are in a jewelry box. My necklaces were a mess! There were 3-4 necklaces hanging on each knob, and I could barely see half of them. I also rarely wear necklaces anymore since having Jade. She’d always pull on them and I was worried they’d break. I’d been wanting to go through them badly, but kept putting it off. Not anymore! I took each necklace off and held it. 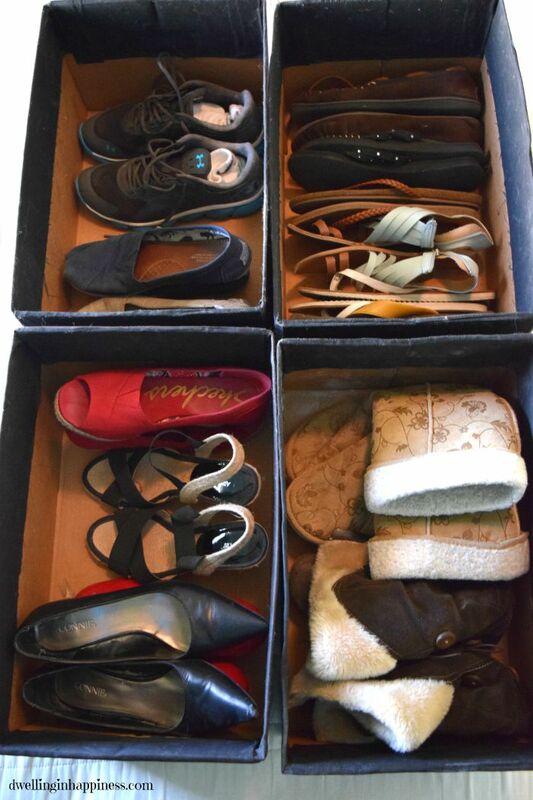 I decided which ones I wanted to keep, and the rest went in a box to be donated. 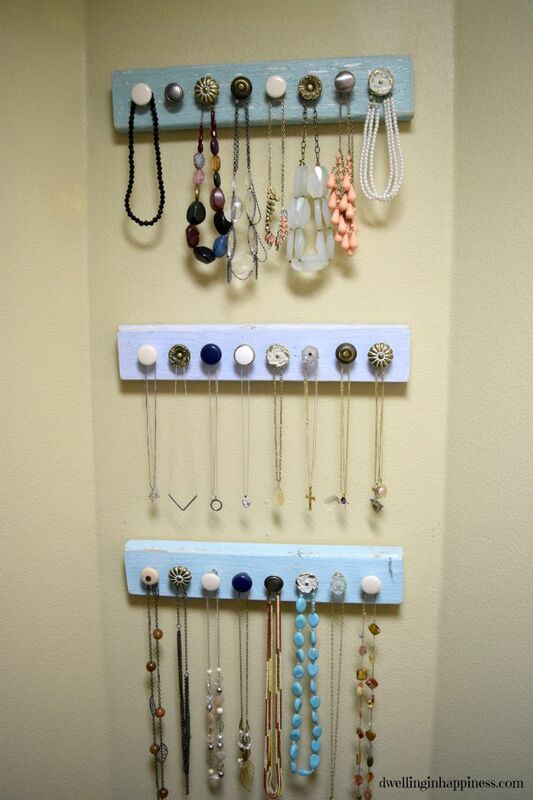 After going through them all, I can now say each knob only has ONE necklace hanging from it! It makes me happy looking at all the necklaces I love and will wear again now that I can see them! Next up was the earrings. Like my necklaces, I hardly wear earrings with having Jade pull on them, and even then I’d find myself only wearing the same few. There were even some I bought and had never worn! 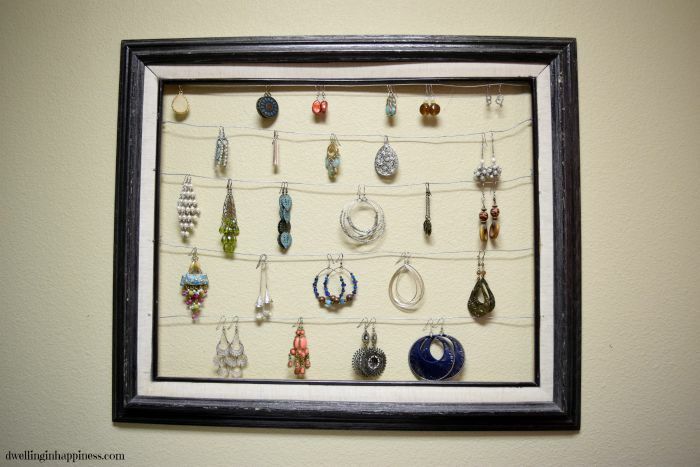 I took each pair off and out of my jewelry box, and put back only the pairs that brought me joy. Such a difference! It’s truly amazing to see the things we keep when they don’t bring us joy or we don’t use them. I probably won’t even need this many earrings still, but I can always pare down again when they don’t bring me joy anymore. 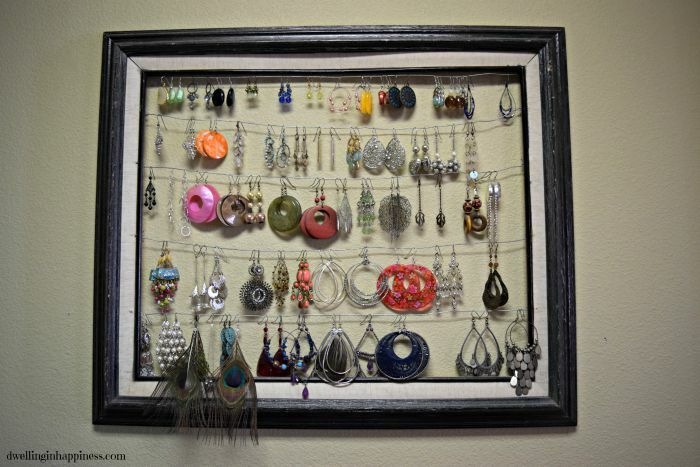 I think I also need to downsize my storage to something smaller, so I’m not tempted to buy more earrings to fill the space! Phew! My closet is really looking So. Much. Better. I was hoping to get to my scarves this week, but that will have to wait. I probably have 50 scarves to wear during the winter, and I always find myself only wearing about 5! 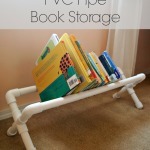 I’m so glad to have you following along and encouraging us as we declutter our homes. 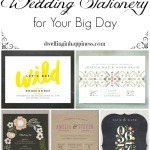 You’ll definitely want to hop around below and check out my bloggy friend’s progress, too! Holy smokes! Look at all of that space Amanda!!! I even see a knob with no necklace at all 😉 Great work my friend! Seriously I will follow your tips because I am a very messy girl when I need something I have searched everywhere for single things. Arranging accessories not an easy job at all.